During the Plein Air festival, painters present their interpretation/art of Curacao in the form of a painting. The air, land and sea play important roles in these paintings. Some paintings are made underwater while others are painted on top of a mountain. The goal of the Plein Air festival is to capture the beauty of Curacao and to distribute these paintings worldwide through sales. In addition, workshops are given for (prospective) artists. 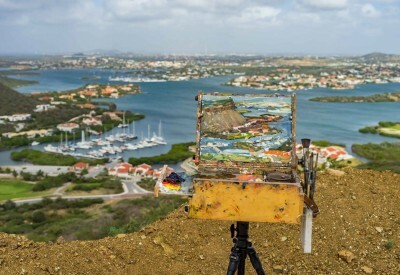 Plein Air Curacao; a must for art lovers.